1 photograph; b & w; 3.25 x 5 in. 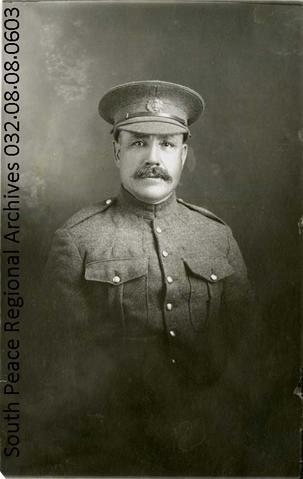 Portrait of Fred Blanchard in World War I uniform. The photograph appears to have been acquired from Mrs. Edith Mair.